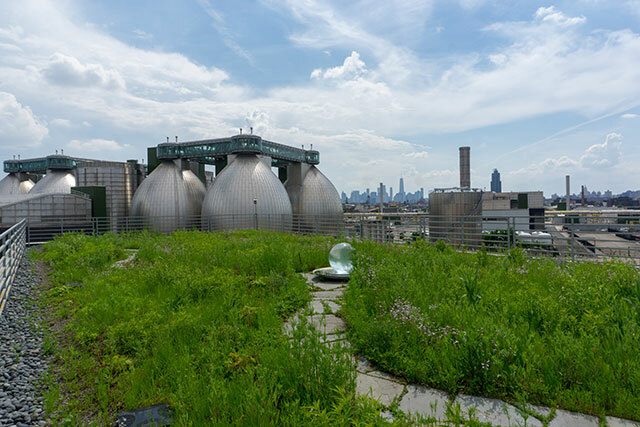 The NYC Green Roof Researchers Alliance will hold its first annual conference, “The State of Green Roofs in New York City,” to discuss cutting-edge research on urban green roofs on Thursday, June 7, 2018 at The New School. This is the first-ever forum on the emerging fields of green roof science, policy, and education. 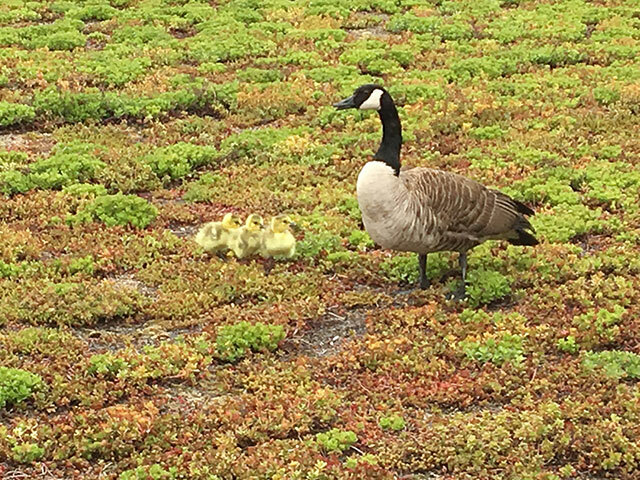 The Javits K. Javits Convention Center Green Roof, one of the largest green roofs in the U.S.
Canada Goose with chicks on the Javits K. Javits Convention Center Green Roof. 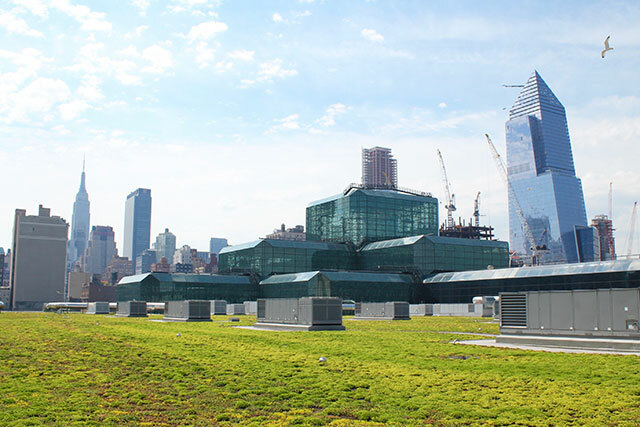 The conference will open with a keynote by Alan Steel, CEO and President of the Jacob K. Javits Convention Center, which installed the largest and most studied green roof in the city (and one of the largest in the country) when the center was renovated in 2013. 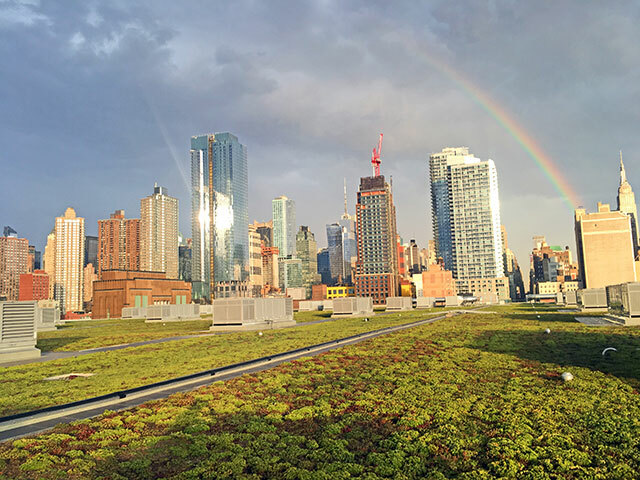 Topics to be covered at the conference include the development of a map and database of New York City green roofs, the use of green roofs by birds, bats, and insects, and the effects of green roofs on stormwater retention, energy use, and the urban heat island effect. Presenters will give an overview of policies that have expanded the use of green roofs in other cities and the ways in which New York City educators are using green roofs for science instruction. Free and open to the public. 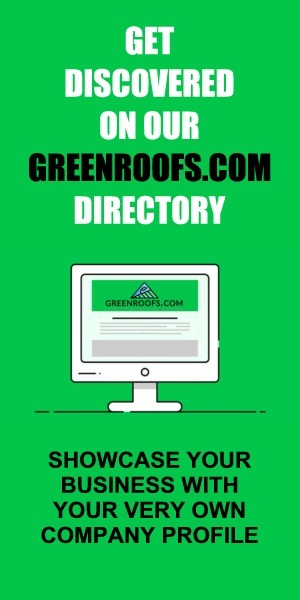 Space is limited—pre-register at bit.ly/GreenRoofsNYC. Learn more and register for the conference! 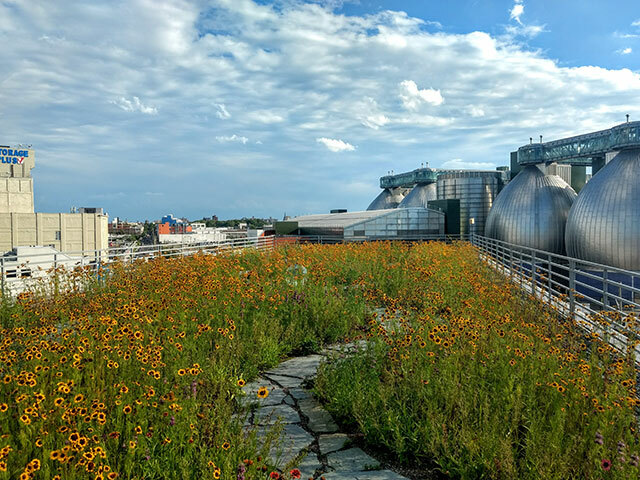 Publisher’s Note: See the Jacob K. Javits Convention Center and Kingsland Wildflowers Greenroof & Community Space Project Profiles in The International Greenroof & Greenwall Projects Database. NYC Audubon champions nature in the City’s five boroughs through a combination of engaging and entertaining programs and innovative conservation campaigns. NYC Audubon is an independent non-profit organization affiliated with the National Audubon Society. Through its efforts, NYC Audubon protects many species of birds living in the 30,000 acres of wetlands, forests, and grasslands of New York City. 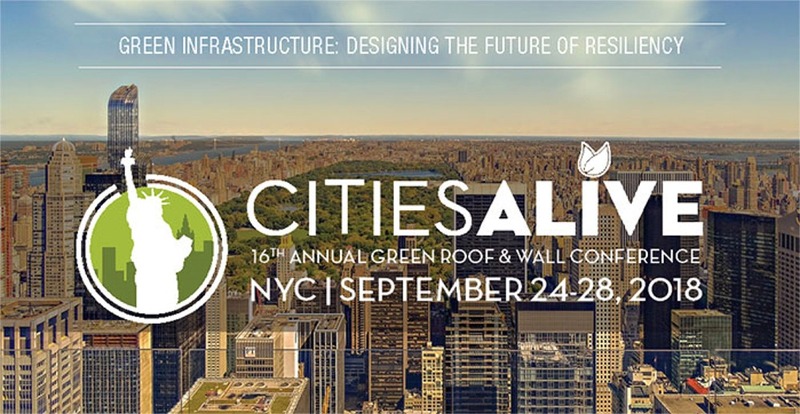 Registration Is Now Open for CitiesAlive 2018 in NYC!